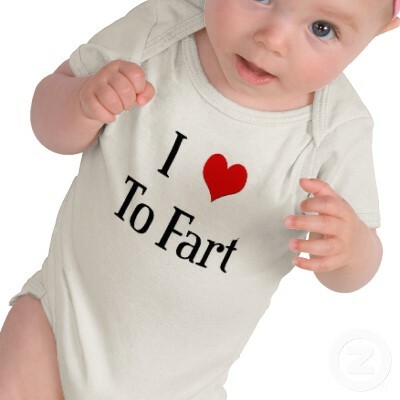 Newborns can fart just as loud as grown ups. They come in many varieties: legato, staccato, mezzo forte, etc. Newborns will warn you of their farts by either crying or giving a "fart face". Their farts will wake them up, then wear them out again so they fall right back to sleep. (Grand)mom says that little girls don't fart; they toot. I don't think you could qualify these rumbles as toots.